Help refugees wherever they come from, Austria’s Kurz says – Zeepertje.com – Facts Fun & News on ISLAM, "The religion of peace"
BERLIN (Reuters) – Austria’s new Chancellor, Sebastian Kurz, called for an end to “failed” attempts to achieve a quota system for distributing asylum seekers around the European Union and urged new efforts to help refugees in their country of origin. 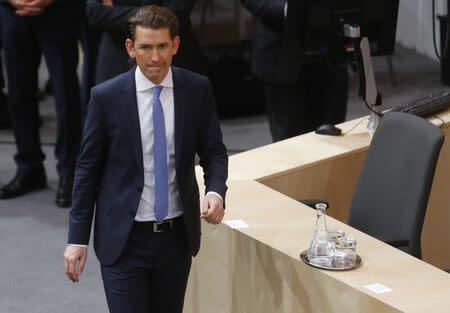 When he was foreign minister, Kurz, a conservative now governing in coalition with the far-right Freedom Party, was a strong critic of Chancellor Angela Merkel’s decision to open Germany’s borders to more than a million fleeing migrants in 2015. Since becoming Chancellor this week, he has aligned himself with central European neighbors like Hungary and the Czech Republic in opposing German-backed proposals to distribute asylum seekers around EU member states.